Let your mind drift to memories of your last great vacation as you climb into bed each night. 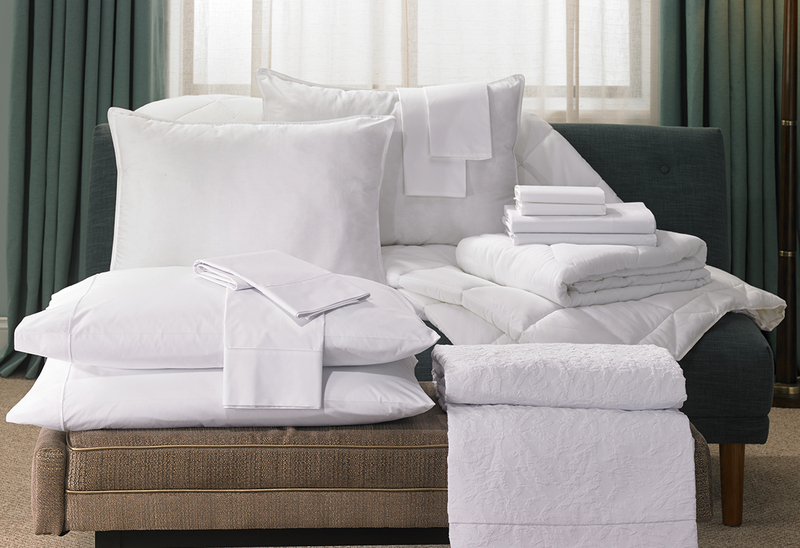 The Hampton Bedding set includes our signature sheets, made of a premium cotton blend, mattress pad, and four pillows—both our feather and down and down alternative styles—with pillowcases and pillow protectors to match. Finally, tuck under our fluffy duvet comforter and stylish jacquard cover to welcome your best dreams. With this complete bedding set, effortlessly turn your bedroom into its own Hampton escape.